Studies have shown 50 to 70 percent of lubricant contamination can come from outside the equipment. As most machines are designed to “breathe”, protecting the source of air-flow from moisture and particulate contamination is extremely valuable for front-end protection and reliability optimisation. 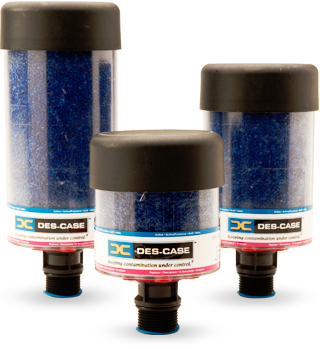 DES-CASE Desiccant Breathers incorporate a high capture-efficiency filter to help sustain desired cleanliness levels by removing even minute particulate matter. They also create low relative humidity levels in the headspace, making condensation and absorption by the lubricant unlikely. When a system is properly fitted with a breather containing drying and filtration media, the contaminant ingression is greatly reduced. Des-Case Standard Breathers provide simple, yet dependable protection from moisture and particulate contamination in lubricants and equipment across multiple industries and applications. These versatile breathers are five times more effective than the leading non-desiccant breathers, providing optimal defense against humidity for your applications. The Desiccant Breather replaces the standard dust cap or OEM breather cap on equipment. As air is drawn into equipment through the breather, the layered filter elements remove particulate while the desiccant beads strip harmful moisture. While in service or during shut-down, the desiccant beads attract moisture from inside the equipment reservoir, actively drying the equipment. We supply DES-CASE Standard Desiccant Breathers, DES-CASE Hydroguard® Hybrid Breathers, DES-CASE VentGuard™ Hybrid Breathers, DES-CASE Extreme Duty Breathers, DES-CASE Non-Desiccant Breathers, DES-CASE Breather Adaptor & Accessories. 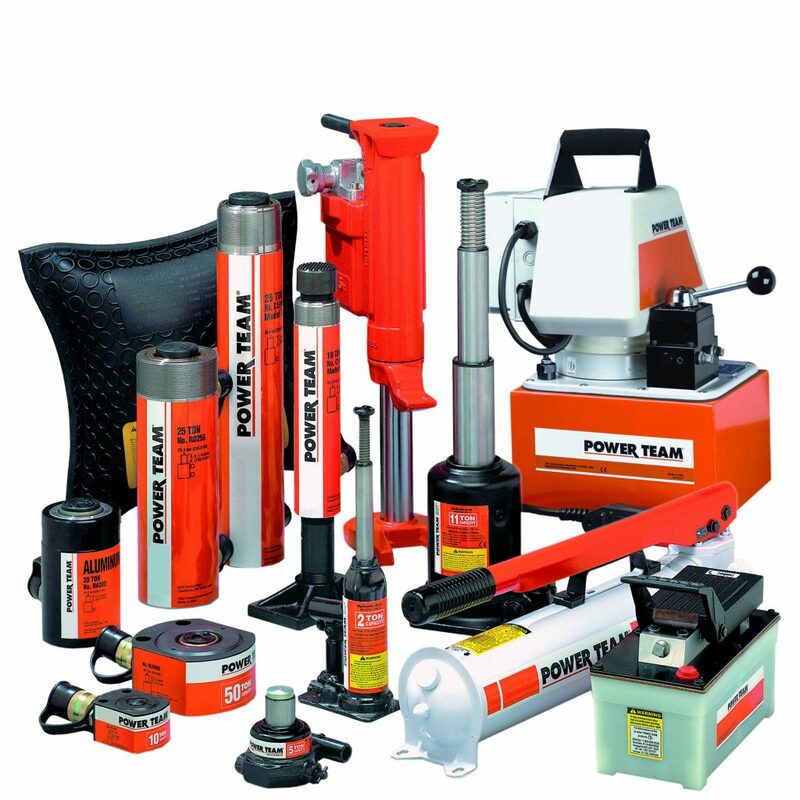 SPX Power Team provides a range of high force hydraulic products, systems and tool that can be used for applications in industry, construction, rigging, quarrying, marine projects, maintenance and repair (MRO) and more. 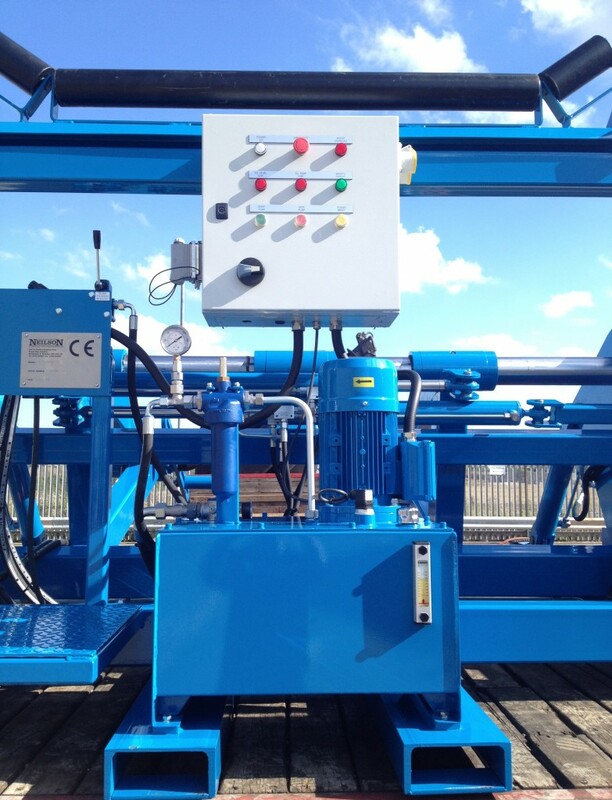 Neilson Hydraulics specialises in designing and manufacturing an extensive range of Hydraulic Power Units. We manufacture custom-made hydraulic power units than can be built strictly in accordance with client specifications, offering a complete hydraulic solution from concept to completion. We can also provide repeat hydraulic power units, as well as hydraulic power units for specialist projects. 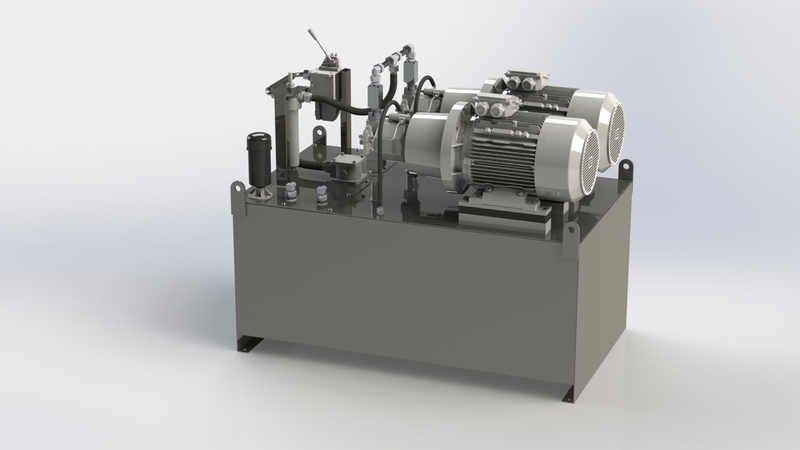 We have strong technical abilities in CAD, SolidWorks, system controls and hydraulic circuit design. Keep your gritter fleet moving this winter with Danfoss hydraulic replacement parts. Neilson Hydraulics is your one stop shop for Danfoss hydraulic replacement parts. The NEW Danfoss PVE Series 7 design is based on the existing, highly successful Danfoss PVE series. 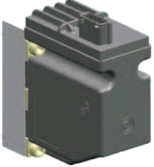 This technically advanced and highly future-proof solenoid has a number of proven-in-use features that deliver the high reliability expected of a Danfoss Power Solutions product. 1. 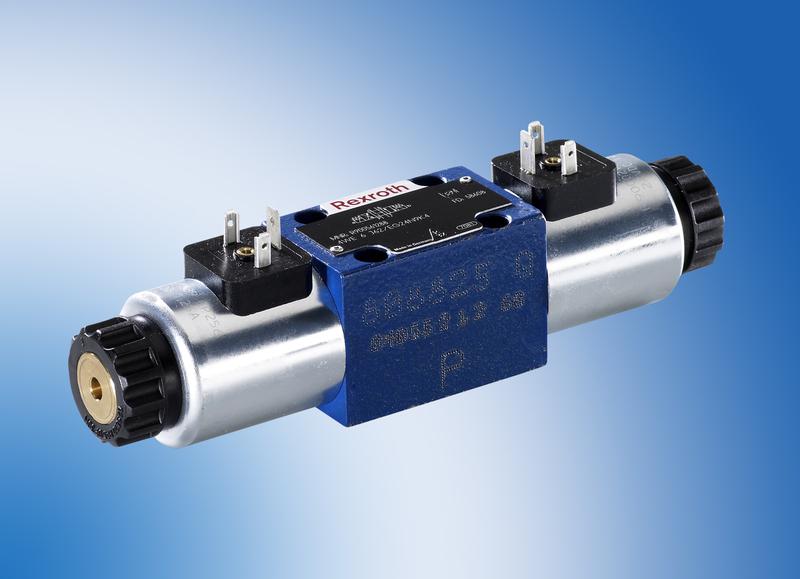 Microcontroller with embedded software algorithms – The upgrade to embedded software algorithms ensures increased repeatability and high performance of the Danfoss PVE Series 7 Solenoid. 2. Robustness from potting and encapsulation – The robustness of the Danfoss PVE Series 7 is further ensured by extensive and proven potting competence of Danfoss, and the superior corrosion protection on all metal parts. Moreover, encapsulation makes sure the electronics are completely sealed, and that nothing will interfere with the performance – even in the toughest conditions. 3. 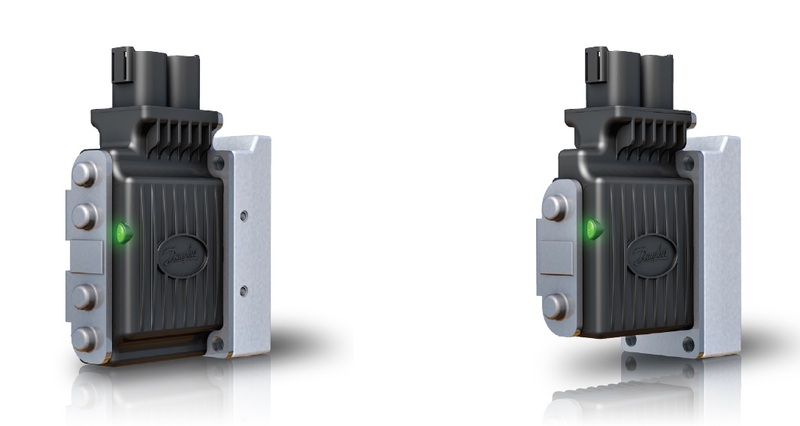 Increased diagnostic coverage – The enhanced spool position sensor with dual demodulator, increases the diagnostic coverage and makes the Danfoss PVE Series 7 even more safe and reliable. 4. Robust in extreme conditions from -40 to +90 °C – The Danfoss PVE Series 7 has an increased temperature range which makes it ready for the toughest conditions anywhere in the world. 5. Extreme control – The precision and performance of the Danfoss PVE Series 7 is second to none. 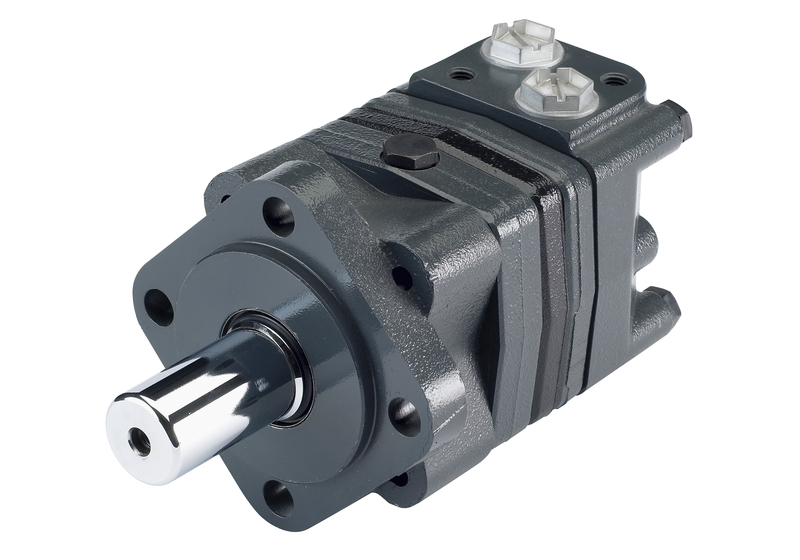 Hydraulic motors and cylinders have never been controlled more accurately than with the Danfoss PVE Series 7. Neilson Hydraulics is an official sales partner for Danfoss Power Solutions (formerly Sauer Danfoss). 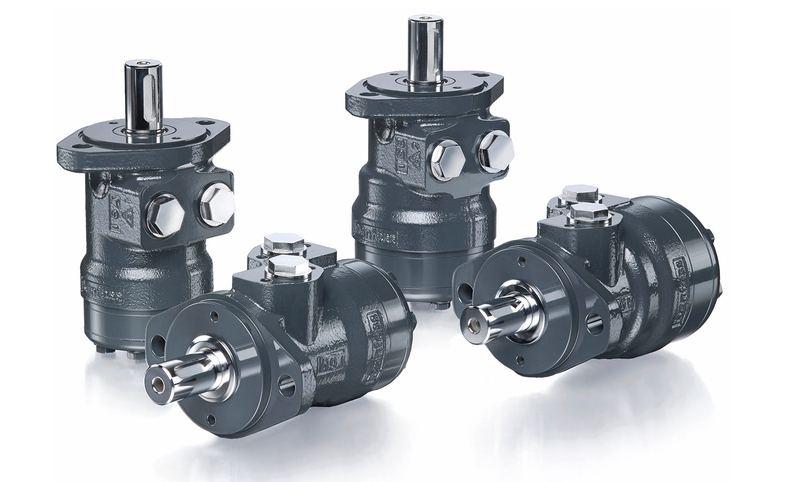 Neilson Hydraulics supplies Danfoss PVG 32 Proportional Valve Components, including Danfoss Inlet Sections, Danfoss Valve Bodies & Covers, Danfoss Solenoids (Danfoss PVEA, Danfoss PVEH, Danfoss PVEM & Danfoss PVEO Actuators), Danfoss End Plates, Danfoss Bolt Kits, Danfoss Mechanical Handle Assembly, Danfoss Standard Flow Control Spools, Danfoss Orbital Motors, Danfoss H1 Pumps, Danfoss H1 Motors and Danfoss Series 45 Open Circuit Axial Piston Pumps. We have been a Danfoss Distributer in the UK for over 30 years and have excellent technical knowledge of the range. 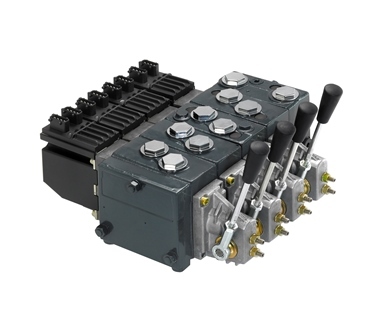 Click on the link below to view the full range of Bosch Rexroth’s Directional CETOP 3 Valves at Neilson Hydraulics online: http://www.neilson-hydraulics.co.uk/store/bosch-rexroth/directional-spool-valves-cetop-3-5/bosch-rexroth-cetop-3-directional-spool-valves or call our Sales Team on 01709 821 002. 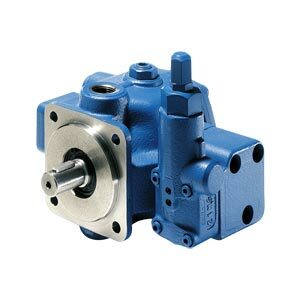 Bosch Rexroth PV7 Vane Pumps with adjustable displacement boast a low flow pulsation and realize very high repetition accuracies with low pressure peaks during down control. The noise optimization achieved by adjusting the height adjustment screw provides for a low operating noise. Hydrodynamically lubricated plain bearings ensure a long life cycle. 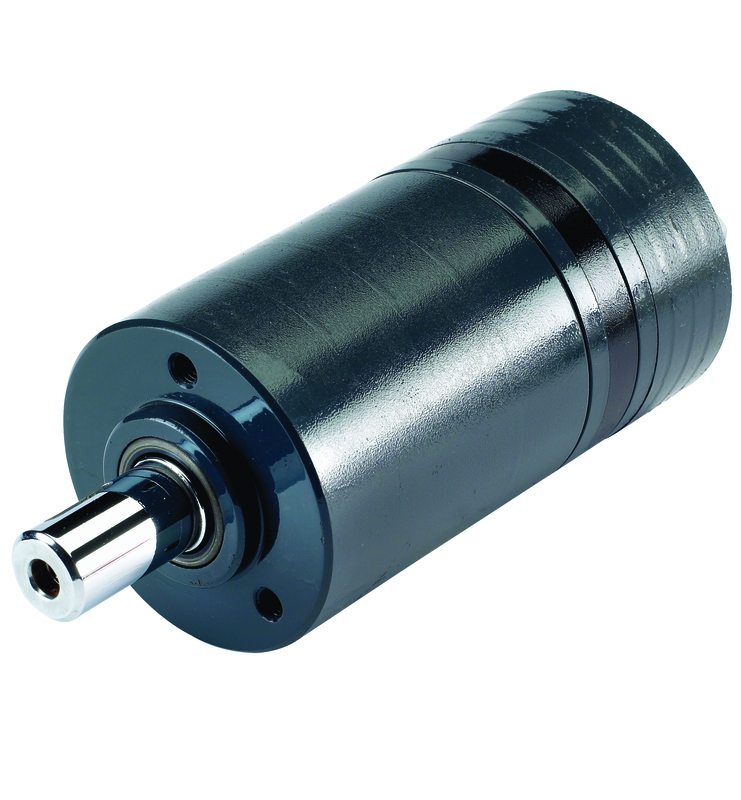 The axial compensation of the displacer provides optimum volumetric efficiency. 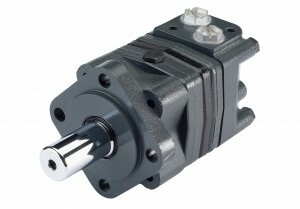 Click on the link below to view the full range of Bosch Rexroth PV7 Vane Pumps at Neilson Hydraulics online: http://www.neilson-hydraulics.co.uk/store/bosch-rexroth/hydraulic-pumps/bosch-rexroth-vane-pumps or call our Sales Team on 01709 821 002. 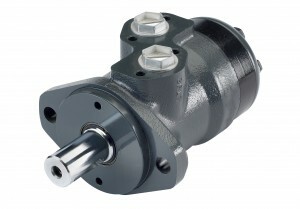 Neilson Hydraulics is a sales partner for Bosch Rexroth Hydraulics. 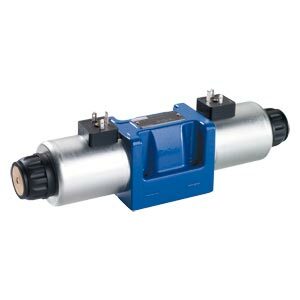 Neilson Hydraulics supplies Bosch Rexroth Directional Valves, Bosch Rexroth CETOP Valves, Bosch Rexroth Pressure Relief Valves, Bosch Rexroth Pressure Reducing Valves, Bosch Rexroth Check Valves, Bosch Rexroth A10VSO Axial Piston Pumps, Bosch Rexroth Vane Pumps, Bosch Rexroth Filters & Elements, Bosch Rexroth Accumulators, Bosch Rexroth Cylinders, Bosch Rexroth Electronics and Bosch Hydraulic Accessories (Bosch Rexroth Hirschman Plugs, Rectifier Plugs & Coils).